A new study confirms what has long been suspected: highly processed foods like chocolate, pizza and French fries are among the most addictive. You think? This should probably go on my other blog; for now, I will feel like ranting. 🙂 Enjoy! A new University of Michigan study confirms what has long been suspected: highly processed foods like chocolate, pizza and French fries are among the most addictive. This is one of the first studies to examine specifically which foods may be implicated in “food addiction,” which has become of growing interest to scientists and consumers in light of the obesity epidemic. Previous studies in animals conclude that highly processed foods, or foods with added fat or refined carbohydrates (like white flour and sugar), may be capable of triggering addictive-like eating behavior. 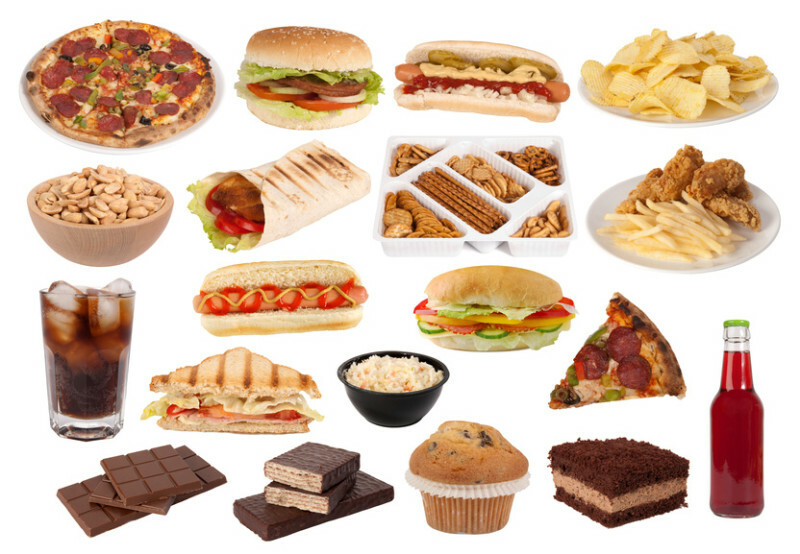 Clinical studies in humans have observed that some individuals meet the criteria for substance dependence when the substance is food. Despite highly processed foods generally known to be highly tasty and preferred, it is unknown whether these types of foods can elicit addiction-like responses in humans, nor is it known which specific foods produce these responses, said Ashley Gearhardt, U-M assistant professor of psychology. Unprocessed foods, with no added fat or refined carbohydrates like brown rice and salmon, were not associated with addictive-like eating behavior. Individuals with symptoms of food addiction or with higher body mass indexes reported greater problems with highly processed foods, suggesting some may be particularly sensitive to the possible “rewarding” properties of these foods, said Erica Schulte, a U-M psychology doctoral student and the study’s lead author. “If properties of some foods are associated with addictive eating for some people, this may impact nutrition guidelines, as well as public policy initiatives such as marketing these foods to children,” Schulte said. Nicole Avena, assistant professor of pharmacology and systems therapeutics at Icahn School of Medicine at Mount Sinai in New York City, and a co-author on the study, explained the significance of the findings. Future research should examine whether addictive foods are capable of triggering changes in brain circuitry and behavior like drugs of abuse, the researchers said. The above story is based on materials provided by University of Michigan. Note: Materials may be edited for content and length.